It is the broad impact of computer science that excites Krishna the most. “Computer science has huge potential because you can apply it to any other field,” she said. 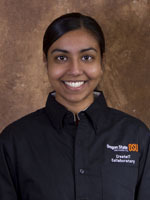 With support of scholarships from the School of Electrical Engineering and Computer Science, she was able explore cross-disciplinary projects in ecology and music, and try her hand at teaching. Had she needed to seek more lucrative employment off campus those opportunities would not have been possible. 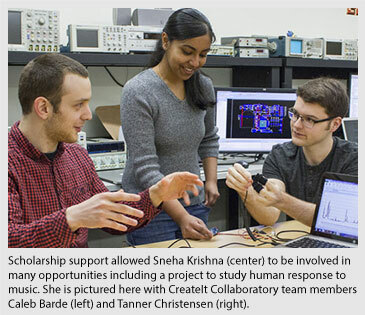 As part of a student team in the CreateIT Collaboratory, Krishna helped develop a system to measure emotional responses to music for Jason Silveira, an assistant professor of music at Oregon State. The project goal was to measure skin conductance of individuals listening to music in a concert setting, which would allow scientists to gain a better understanding of the collective response to music, and broaden the scope of research in music perception to real-world settings. For her honor’s thesis, Krishna is analyzing data from a study on plant preferences of pollinator insects. The aim of the project is to create a model that will accurately predict the behavior of pollinators in the presence of certain plants without depending on unreliable count data from field studies. “I am really enjoying how I can use statistical and mathematical concepts to create a model of the world,” she said. 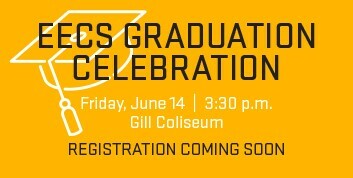 She is also an active member of Circle K International, a student group dedicated to volunteerism and will be attending the Grace Hopper Celebration of Women in Computing this year. Inspired by her experiences at Oregon State, Krishna plans to go on to graduate school and study artificial intelligence or big data. She is especially interested in continuing interdisciplinary research.